The Upanishads abound in spiritual knowledge. They are the end part of the Vedas and known collectively as Vedanta. In Sanskrit, which was the main language of communication among the elite groups in India for several centuries, the word Upanishad means sitting down near. While the ritual chants of the Vedas were uttered in public during the performance of the sacrificial ceremonies, the Upanishads were revealed in private only to a select few on need to know basis. The knowledge contained in the Upanishads is deemed higher knowledge as it deals with the knowledge of the self and the transcendental states of awareness, where as the knowledge contained in the Samhita part of the Vedas is considered the lower knowledge as it is used mainly for performing rituals to obtain material gains and personal favors from various divinities. The exact number of Upanishads is not clearly known. Most of them must have been lost due to secrecy and exclusivity associated with them and the limitations in organizing and preserving them. Presently there are said to be about 250 Upanishads, of which about ten or eleven are considered the most ancient, important and authoritative. From the earliest times, the Upanishads attracted the attention of scholars from various religions and schools of philosophy. Jains, Buddhists and Hindus alike tried to understand them and interpret them according to their own beliefs and traditions. The Upanishads are not organized texts as they are not products of human intellect or deliberate effort. They do not contain a coherent and definitive philosophy and leave ample scope for varied interpretations and conflicting opinions. The Buddha and Mahavira were probably aware of their existence. The Bhagavadgita is actually a summary of the knowledge contained in the Upanishads and is treated technically as a Upanishad by itself. Many scriptures of Saivite and Vaishnavite schools drew inspiration from them. Scholars like Gaudapada tried to interpret them and present them with them own commentaries. Sri Shakaracharya wrote commentary for the ten principal Upanishads from the perspective of Advaita philosophy or the school of monism. Sri Rangaramanuja, a disciple of Sri Ramanuja and Sri Madhavacharya also wrote commentaries for some Upanishads according to their respective schools of thought. During the medieval period some Muslim scholars showed deep interest in the philosophy of the Upanishads. Dara Shikoh, the elder son of Shajahan was drawn towards Hindu philosophy and the study of the Upanishads. He got several Upanishads translated into Persian. When the British established their rule in the Indian subcontinent, European and Indian scholars introduced the Upanishads to Europe and the rest of the world, drawing the attention of many scholars and philosophers alike. The Upanishads are part of revealed knowledge (shruti). They are not man made. There were received by seers and sages in their transcendental states of experience. Since communication was difficult and secrecy and sanctity of religious knowledge were considered sacrosanct, coupled with the rigid manner in which the ancient gurukulas imparted religious education, for a very longtime the knowledge of Upanishads remained confined to different schools and traditions and family lineages. While the ritual aspect of the Vedas was known to many, the Upanishads largely remained unknown and obscure outside the pockets of influence. Even in case of the rituals, people were largely ignorant of their symbolic significance and their correlation with spiritual practices. The Samhita, Brahmana and Aranyaka part of the Vedas are in no way less important than the Upanishads. Hidden with in the invocative prayers and sacred chants of the the various parts of the Vedas are deep philosophical and spiritual truths couched in mysterious symbolism and confusing metaphors which can be known only by adepts in proportion to their spiritual experiences and awareness. The symbolic significance of the Vedas has been amply brought to light by Sri Aurobindo in his book, the Secret of The Vedas. From an intellectual point of view, the Vedas and the Upanishads are equally challenging. While the main body of the texts have been preserved to great extent, we do not know how these texts were used in the ancient times. We have access to the Vedas, but mostly we do not know what some of the words, expressions and imagery actually mean and why they often look superfluous, repetitive and even superstitious. 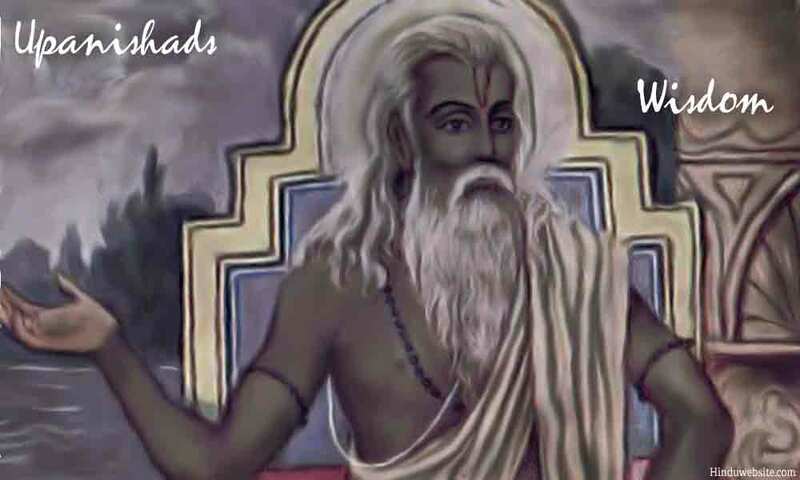 The Brahmasutras of Veda Vyasa was an attempt to provide some framework for the interpretation of these texts and contemplation upon their numerous truths. Fpr a veru long time, scholars used it as the basis to debate and discuss the philosophical truths contained in these texts. The oldest of the Upanishads, for which Shankaracharya wrote commentary, are non-sectarian and dispassinate in their approach and treatment of the subject of Brahman. They do not portray Brahman from a devotional perspective unlike some of the subsequent texts such as the Bhagavadgita or Svetasvatara Upanishad which are mostly sectarian. The non-sectarian Upanishads describe Him as an impersonal, mysterious and supreme Being, fit for contemplation, concentration, speculation and philosophical enquiry, rather than devotional or ritual worship. In fact some of them such as the Katha Upanishad, describe Him as non communicable and unapproachable in our ordinary state of consciousness. Although the earliest Upanishads approach the subject of self-realization rather stoically, they do not undermine the importance of moral purity and spiritual preparation in achieving oneness with Brahman. The composers of the Upanishads were able to receive and channel the knowledge of the Cosmic Self effectively into human terms because they were able to identify themselves completely with Brahman, transcending their ordinary nature and removing all traces of individuality, objectivity, duality and distinction. The Upanishads speak of the existence of Universal Cosmic Soul, the Brahman, who is the cause and origin of all origins and God of all gods, and try to describe the indescribable to the extent the human language permits and the intellect admits. They refer to the Atman, the individual soul that suffers from the vision of diversity and the impact of Maya , the illusion that keeps it chained to a sense driven world. They speak of the need to look inward to understand the various states of awareness and consciousness, to remain awake amidst sleep and to sleep amidst wakefulness. They denote the importance of acquiring a vision that can see darkness in light and light in darkness or in other words an understanding and awareness that can absorb all contradictions into one harmonious whole. They speak of the worlds that exist beyond ours, the importance of knowledge and ignorance, the attributes of an evolving soul, the ethical and moral background on which spiritual foundation can be laid, the meaning of death and immortality and the need to transcend the senses to experience the Truth behind all illusions. They try to present the experience of self realization and of unity with the Absolute in a language which cannot be easily understood without some introduction into the basic concepts of Hindu religion.